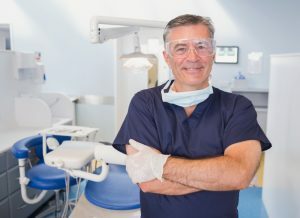 What does your San Antonio cosmetic dentist actually do? Are stains, chips and spacing issues detracting from your smile and your self-image? Then speak to your cosmetic dentists at New Image Dentistry in San Antonio. Drs. Christopher J. Holland and Chrysalis Heinkel will makeover your teeth and gums into the healthy, vibrant smile you have always wanted. Any dentist will tell you that he wants the best in oral and overall health for every patient he sees. Intact tooth enamel, correct bite, viable gum tissue–preventive dental treatments support all these components of a healthy smile. But what about how your smile looks? Are you embarrassed to show your teeth because of old, failing restorations, stains from coffee or tea or teeth that have simply worn down over time? Cosmetic dentistry from New Image Dentistry in San Antonio tackles both small and big aesthetic issues associated with teeth and gums. Drs. Holland and Heinkel are masters at taking marred smiles and creating new looks that are perfectly colored, shaped and aligned for best function and appearance. A cosmetic dentistry consultation can really be called a “smile analysis.” During this evaluation of teeth, gums and facial appearance, your San Antonio cosmetic dentist studies how your teeth look in relationship to each other and to your overall smile. He or she also asks for the patient’s ideas of how he would like a new smile to appear. From there, the dentist works up a treatment plan aimed at the best possible smile aesthetics within the patient’s time frame and budget. An easy, cost-friendly refurbishment is professional teeth whitening. New Image Dentistry uses an in-office brand of whitening called Zoom!2 which brightens tooth enamel stained by smoking, food, beverages and simple aging. At-home whitening trays accomplish the same effect, but more gradually. Often combined with whitening is composite resin bonding. Using a tooth-colored material composed of porcelain and acrylic, the dentist fills and sculpts chips, gaps and other defects and hardens the material to a durable finish that is stain-resistant and lasts 5 to 10 years or more. Tooth contouring sculpts enamel as well with simple, painless grinding, sanding and polishing, processes that create more conventional and even smile lines. For more difficult defects, Dr. Holland or Dr. Heinkel may advise placement of porcelain veneers. Super-thin, translucent shells of fine dental ceramic, custom-made veneers cover the front side of teeth marred by fractures, deep stains, gaps and mild overcrowding. Veneers substitute for mild orthodontic correction and add a measure of durability to teeth. Finally, for the perfect combination of restorative and cosmetic dentistry, New Smile Dentistry features tooth-colored fillings and all-porcelain crowns. These restorations eliminate decay and cover compromised enamel with quality materials which strengthen and beautify teeth. These state of the art fillings are metal-free and seamlessly natural looking. Cosmetic dentistry works wonders with smiles. Could we help yours? Contact New Image Dentistry today to set-up your personal smile analysis. We can make you smile more than you ever thought possible.